SGT University Admission 2019 has been Started. 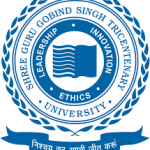 SGT University is referred to as Shree Guru Gobind Singh Tricentenary University it is a UGC approved university. SGT University is located in Gurugram, Haryana, India. SGT University 2019 offered an array of courses in the various fields of education. To be eligible for admission candidates have to fill the application form. To apply for UG, PG, Diploma and Doctoral level courses candidates have to be eligible to apply. Here, candidates can get complete details of about SGT University 2019 admission includes Eligibility criteria, Application Form, Exam Dates, Exam Pattern, Syllabus, and Preparation Tips, Etc. SGT University 2019 Registration has been Started. Click Here to Check Application Details. Below in scheduled an important Date SGT University Admission, 2019 is provided of SGT University 2019 admission. Candidates should know the important dates and events like Availability of application form, Last date to apply and Merit list etc. Here, candidates can check the dates to apply in the SGT university admisison2019. To get registered Candidates to have to fill SGT University 2019 admission application form. Candidates are informed, applier has to fill out and submit SGT University 2019 admission applications form before the deadline. Candidates are advised to go through the information brochure to get the complete information about the admission. Candidates can get SGT prospectus by paying the application fee. Candidates can fill and submit the SGT University 2019 application form through online mode. SGT University 2019 Registration has been Started. Candidates have to fill all details in application carefully, In case of any incorrect details, their candidature will be canceled. Candidates who are willing to apply have to submit the SGT University application form 2019 before the due date declared. The application form will be registered only after the submission of the application fee. Candidates should take the printout of the application form after finally submitting it. Candidates should keep copies of filling the application form and registration slip for further use. Candidates have to pay applications form fees, through online mode Fee can be paid. The application fee is 1100/-for all candidates. It is non-refundable. The application fee has to be submitted through credit card/debit card/internet banking. 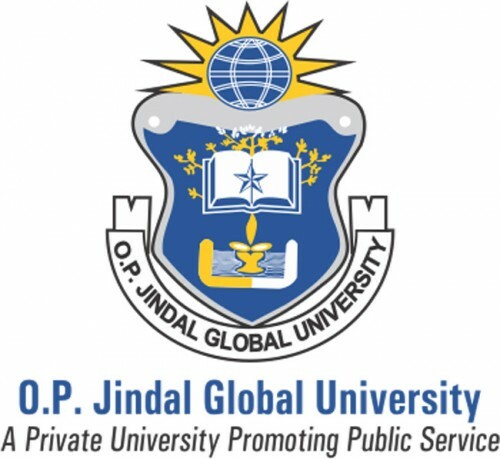 The SGT University offered various courses in UG, PG and Ph.D. levels. Here we have mentioned the list of UG & PG programmes. Before applying all applied should check the eligibility criteria. Check the criteria of whether you can apply or not. Candidates if fails fulfill criteria their Applications will be rejected by the officials. Candidates must fulfill the eligibility criteria given below to become eligible for admission. Nationality: Only Indian candidates are eligible to apply. Qualifying Exam: Candidate passed a 12th or equivalent examination from any recognized board. Subjects: Candidates should have physics, chemistry, mathematics or English as compulsory subjects along with any relevant subjects in which a candidate wants to get admission. Minimum Marks: Candidate should have 45% aggregate marks in their qualifying examination. Qualifying Exam: Candidate should have a bachelor degree or an equivalent degree from any recognized university/institution. Subject: Candidate should have the relevant subjects in which PG course he/she wants to get admission. Minimum Marks: Candidate must pass with the 45% minimum marks in their qualifying examination. SGT University 2019 admission procedure is comprised of filling the application form, publishing merit list for shortlisted candidates, appears in the counseling, seat allotment, and the final admission. On the basis of the candidate’s qualifying exam marks candidates will be offer admission in each course. University will conduct the Admission to B.Tech is based on the qualifying exam and the PI (Personal Interview). Candidates cannot take part in the 5-year integrated programme that have done graduation or post graduation. To apply candidates have to fulfill the complete eligibility criteria prescribed by the authority. On the bases of merit list candidates will be shortlisted for the admission. A merit list will be prepared by the university on the bases of candidates submitted marks by the candidates in the application form. Candidates can check the merit list which will be issued on the university website. Candidates who have score same marks in merit their relative merit will be evaluated by the marks obtained by them in the qualifying or equivalent examination. Candidates will be called for counseling on the bases of rank in the merit list. University will conduct the seat allotment process at the Departments/Institutes as per “Counseling Schedule” given in the information brochure. Candidates are informed there will be no separate communication will be sent to the candidates in this regard. Candidates have to be present at the time of Counseling SGT University Admission 2019. Candidates who are eligible to apply their application will be verified for admission. At counseling, candidates have to carry original documents for the verification process. Candidates will be given opportunities to fill the preference of college/course as per the order of merit. Candidates have to pay admission fee on the day of counseling itself after the seat allotted. Submit the all the required certificates/documents/ testimonials in original to the Admission Committee for verification. Final admission list will be prepared by the admission committee. After verifying the candidate’s original documents/certificates admission will be provided. Candidates can only appear for the academic session only those who have completing all the admission formalities. If you have any query of SGT University Admission 2019, you can leave your query in the given below comment box.